Living a Fit and Full Life: Pamper Your Skin with Luzern! Effective, clean skin care that combines high efficacy ingredients without the use of toxic skin-aging irritants and additives. 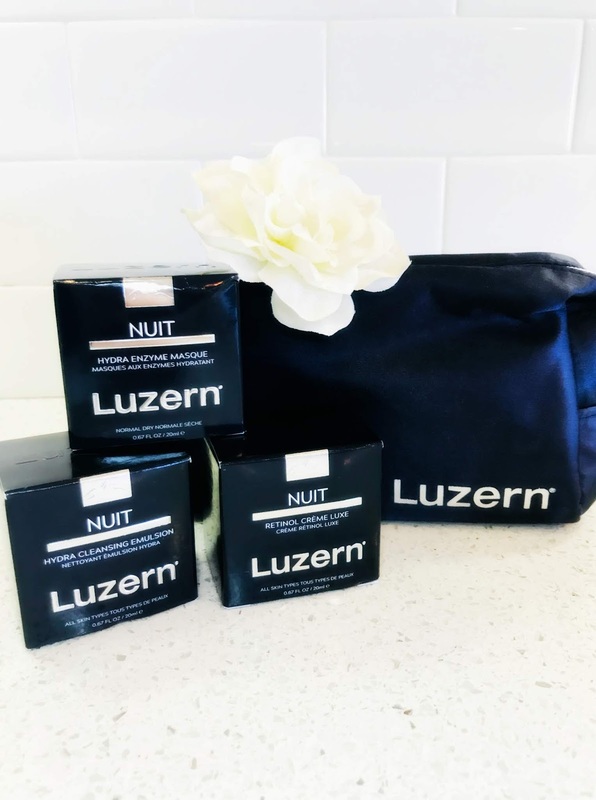 Pamper your skin with Luzern! Luzern is a brand that I've only recently discovered, but I've quickly fallen in love with. I had the pleasure of trying the products above and I'm greatly impressed and super excited to share about them! 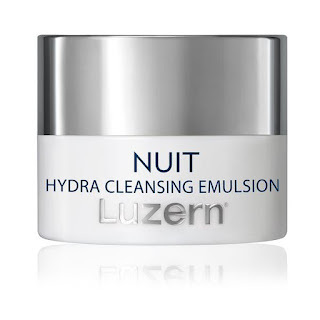 Luzern's NUIT HYDRA CLEANSING EMULSION is an amazing cleanser! Its nutrient rich Alpine extracts are suspended in an ultra-rich cleansing emulsion and blended with 6 nourishing oils to decongest and de-stress the skin without disrupting its delicate protective barrier. This leaves skin incredibly clean, yet hydrated and healthy. It melts on contact to wash away makeup, dirt and excess oil to give you a radiant completion you will love! 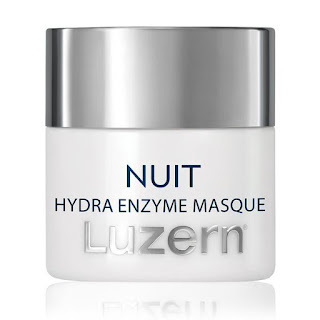 NUIT HYDRA ENZYME MASQUE from Luzern is a terrific mask for all skin types! This amazing mask leaves skin brighter, firmer, and incredibly radiant in just one night. It contains a bi-fermentation complex of enzymes and peptides that gently speeds the shedding of surface cells while you sleep. It also contains Vitamin C and Organic Licorice extract to assist in fading discoloration and uneven tone. It's the perfect way to get a refined and renewed complexion by morning! 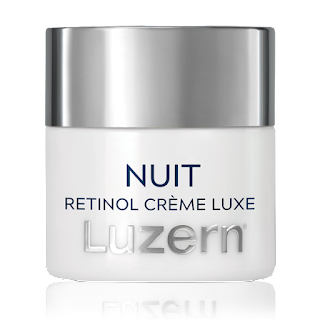 NUIT RETINOL CREME LUXE from Luzern is phenomenal! It contains the power of Retinol, Peptides, and Swiss Alpine extracts to repair and renew your skin while you sleep. Fine lines are softened and skin looks more radiant than ever! Luzern is the perfect way to pamper your skin! Click HERE to find a store near you that sells Luzern! Click HERE to learn more about Luzern! Follow Luzern on social media!